Primer Verpihoeve en obtener el título IPO3. 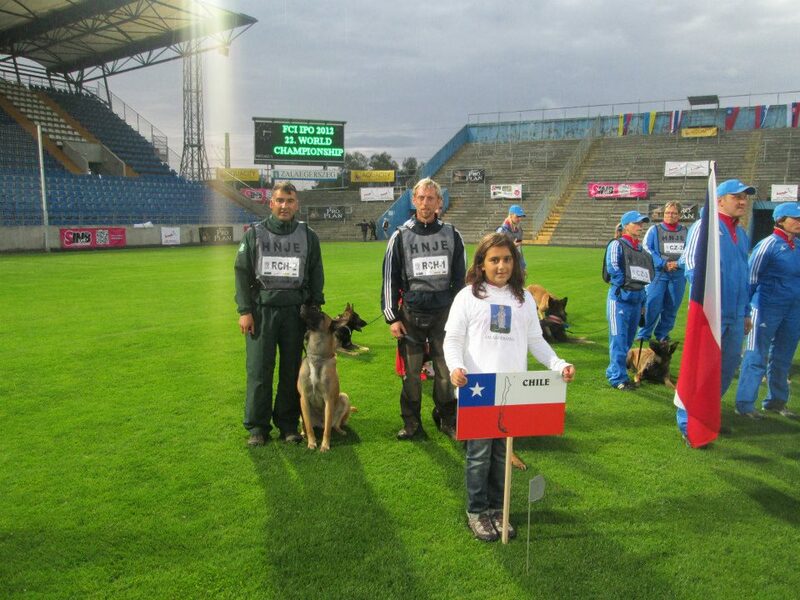 Segundo Malinois en Chile en obtener dicho título. 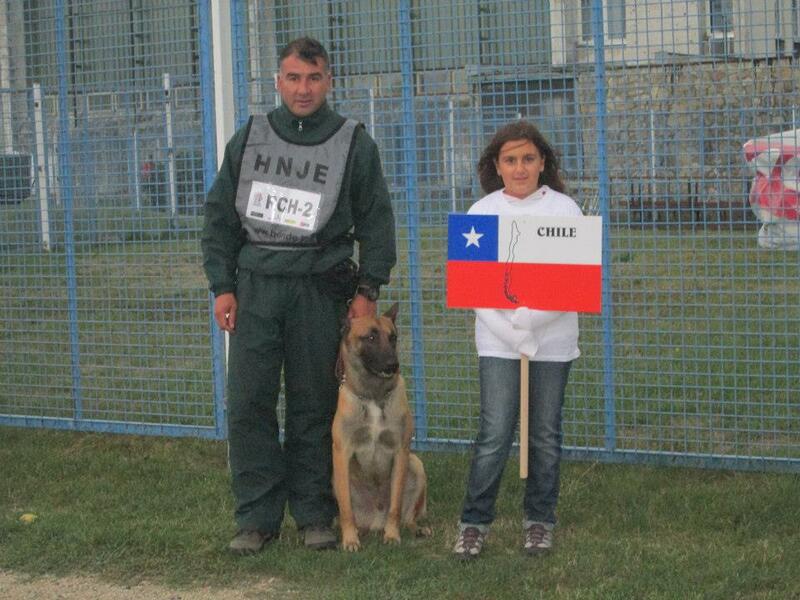 Primer Malinois en representar a Chile en lides internacionales. Primer ejemplar de crianza Nacional en participar en un Mundial. 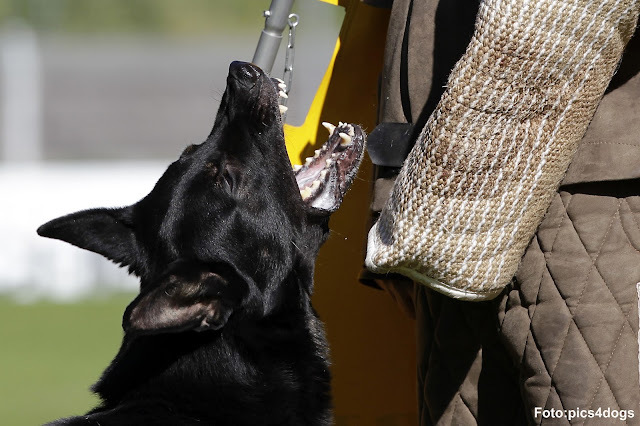 Bull is from the first litter Grex did, he is a male of great stregth, beauty and size and outstanding conditions for IPO. He is very secure and social. 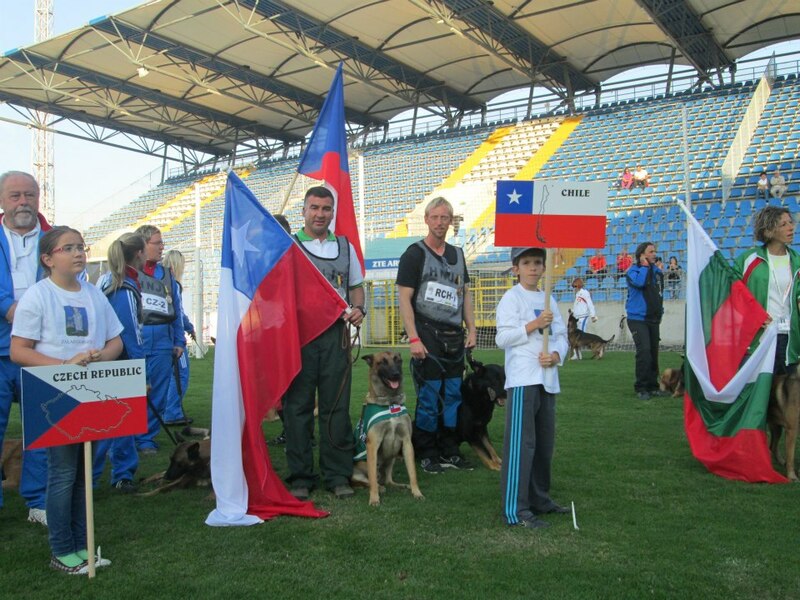 Bull van de Verpihoeve se presentó, junto a su guia y propietario, Marcelo Seguel, Cabo de Carabineros de Chile, en el segundo selectivo del Kennel Club de Chile 2011, en la categoría IPO1, obteniendo el 1er lugar con 87 ( se paso un artículo) - 94 -99, con el mejor trabajo de protección del campeonato. 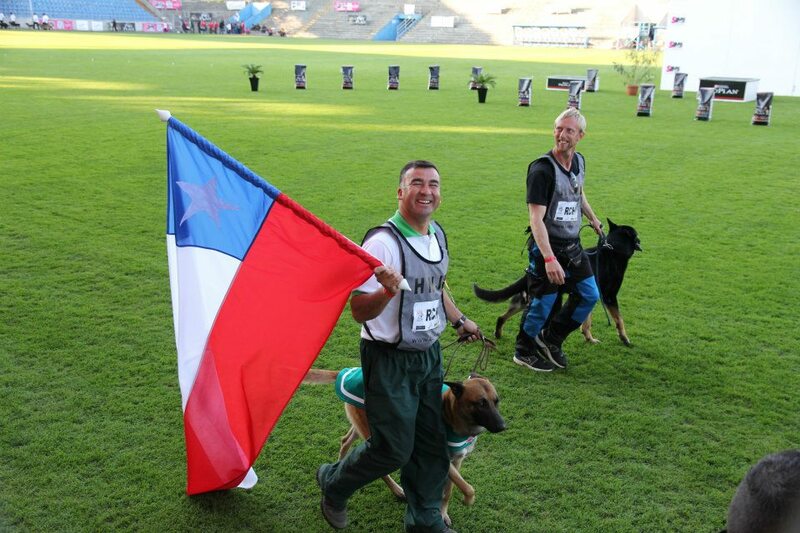 Deseamos felicitar a Marcelo, este triunfo es fruto de su arduo y persistente trabajo, que claramente ha dado frutos, siendo Bull, el segundo malinois criado en Chile en obtener un titulo de trabajo superior, y el primer Verpihoeve en obtener un IPO1, a sus escasos 20 meses de edad. Excelente trabajo Marcelo, sigue asi! Un abrazo, Peter y Daniela Verachtert. Bull van de Verpihoeve presented himself, along with his guide and owner, Marcelo Seguel, Cabo from the Chilean police, in the second Selection trial from the Chilean Kennel Club 2011, in the category IPO1, obtaining 87 ( he missed an article ) - 94 - 99, with the best protection work in all categories. 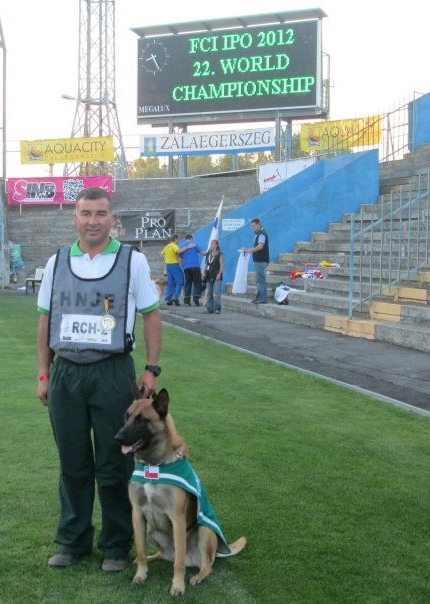 We want to congratulate Marcelo, this triumph is the result of his hard and persistent work, which clearly is succesfull. 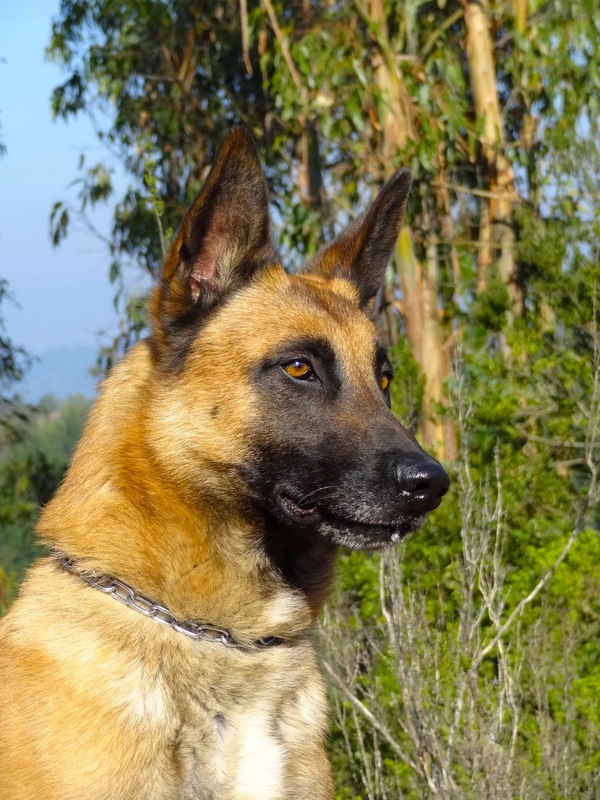 Bull is now the second Malinois in the country obtaining a working title, and the first Verpihoeve to obtain an IPO1 with barely 20 months of age.